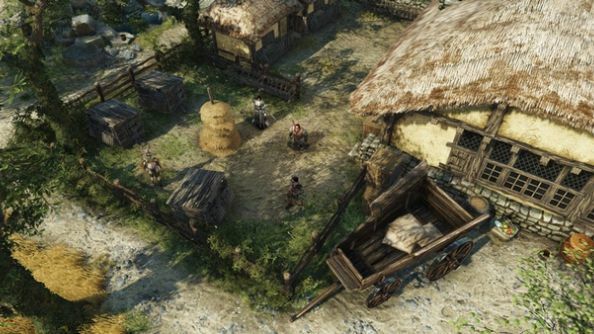 Building upon the work many classic Dungeons and Dragons-inspired PC RPGs laid down in the 90s, Divinity: Original Sin became Larian’s breakout hit. Describing it as a game of systems and mechanics makes it sound very dull, but like its pen-and-paper counterparts, the joy was found in your own experimentation and exploration of the ruleset. From its tactical turn-based battles to the reactionary game world, there was an undeniable depth and richness to what Larian had designed. So it’s role-playing you’re into, is it? Check out thebest RPGsthe PC has to offer, then. When you look at the game’s story, however, you see a lot of half-finished ideas. Your party could banter with each other and argue about important story decisions but would ultimately have to settle their differences with a jarring round of ‘rock, paper, scissors’. Imagine being an onlooker in that world and seeing its two greatest heroes decide its fate over a children’s playground game. 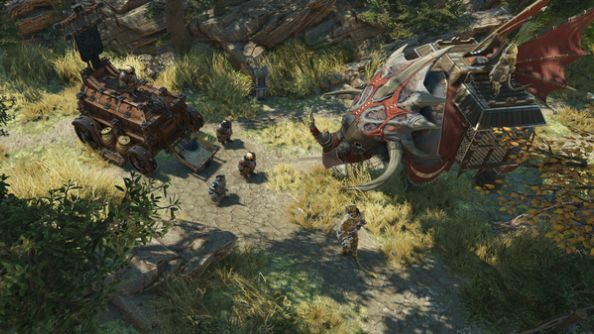 Talking to Larian Studios founder, Swen Vincke, it’s clear he sees the shortcomings in the first game. The success of the first game, along with its definitive Enhanced Edition released a year later, gave Larian the breathing room to expand their team, open new offices in Ireland and Canada, and spend more time on a sequel. A second Kickstarter success to the tune of $2 million for Original Sin 2 certainly helped, too. 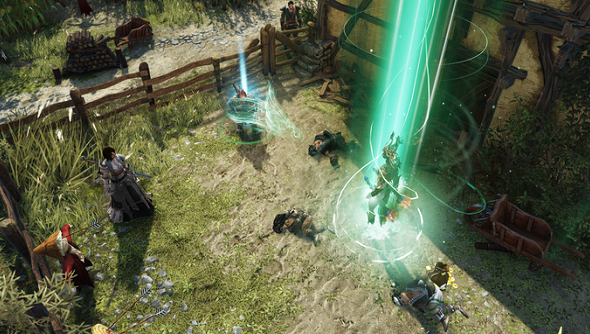 Still, the Larian team is incredibly small in comparison to other studios developing RPGs on the scale they’re reaching for and when Vincke discusses their storytelling ambitions for the follow-up, the undertaking sounds near-implausible. 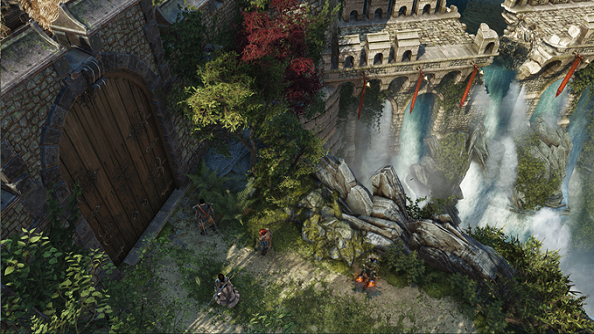 The phrase Vincke uses to describe the approach is “narrative competitive multiplayer”. It sounds like a fancy but ultimately vacuous slogan reserved for a Steam page bullet point, but once you start to pry into its meaning you see the storytelling aspirations for Original Sin 2 are monumental. Pen-and-paper RPGS are the go-to reference point once again, but Vincke talks about crafting a story that is not only better told but also gives players more opportunities to influence. There’s greater focus on your characters and their interactions with fellow party members. From what’s been revealed of Original Sin 2 so far, your character’s origins are one of the sequel’s biggest additions. You’re given the option to create a character from a range of multiple races with differing backgrounds, upbringings and motivations. 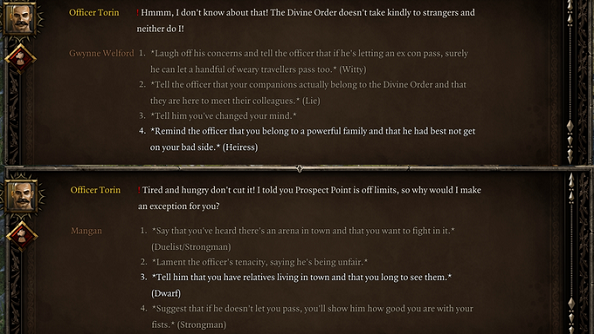 These differences, however major or minor, promise to modify almost all conversations with NPCs and fellow players. 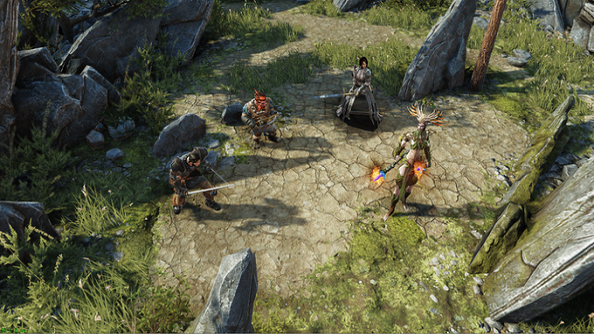 Using a system of invisible tags, Larian can assign players with different lines of dialogue or topics of conversation based on your choices in character creation. Vincke uses the origin question “how did you survive puberty?” as an example. So whether you’re playing solo with a group of A.I. companions or with up to three other human players, each of those characters will have their own unique set of tags that may bring you closer together. Or they might encourage arguments, based on the social dynamics of the world Larian has created. Some races do not get on with other races; persons of one upbringing may look down upon another’s and so on. You don’t have to be deliberately competitive but the option is there should you wish to do so, and the consequences can be far more extreme than just causing a relationship meter to swing one way or the other. The idea seems ridiculous. How do you build an RPG with that level of freedom without the whole thing buckling under its own ambition? What failsafes do you need put in place to ensure all players can still progress when the systems are pushed to their extremes? Can you even prepare for those circumstances? Larian are well aware of the significant challenges they’ve placed on themselves in order to achieve it. “One writer was frustrated that there wasn’t a single bloody bottleneck in the game except two. He was annoyed at how he was supposed to ensure players didn’t miss details.” Vincke explains one way they’re getting around that specific issue. Story has been seeded throughout the world – in every side-quest, in every conversation, in every place you visit – so that wherever you go or wherever you’ve been, you can start to piece it all together. Your origins, your party, your story: the catchy marketing tagline that also serves to sum up the entire design philosophy of Original Sin 2. In a pen-and-paper RPG your group may be working together to slay a dragon, or lift a curse, or complete some other grand quest, but whether or not you achieve that goal doesn’t define the experience. It’s the moments of interaction and decision-making between you as a group that linger long after the quest is complete. Like the time you had just successfully convinced a guard to let you pass but your rogue companion decided to secretly sneak behind him and slit his throat in cold blood anyway. Because that’s the kind of person he is. That is when the group dynamic is truly tested: when personalities clash, tempers fray and rifts occur, where the conflict that creates the drama arises. 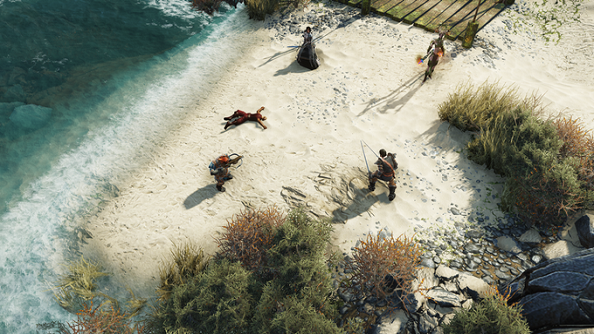 That Original Sin 2 is promising that level of player agency in storytelling is bewildering. There were early signs of it in the first game, of course, but the scale here seems all-encompassing. This is more than just deciding whether a person lives or dies. This is about whether after life-long persecution you show a moment of restraint when facing one of your tormentors, or execute them when another player with background ties to them is standing just a few feet away. Larian took ‘rock, paper, scissors’ and introduced dynamite. Vincke is optimistic Larian can achieve their biggest dreams with this method of storytelling, but a healthy sliver of self-doubt is still keeping them grounded. “I’m hoping we really succeed in bringing about the concept of narrative competitive multiplayer. Or is it just something that will remain a theory? I think I we’ll only find out when the entire game is put together and we see a situation in the game where players may have their own agenda and do not want to work co-operatively with one another. I want it to be the type of experience you’re going to keep on talking about as a player.